Aerolight Wheelchair Ramp Non Folding, Cost Effective. If you’re looking for an economical, value for money wheelchair ramp, why not consider the Aerolight Classic? It’s a non-folding, portable wheelchair ramp suitable for navigating steps, stairs, kerbs and other raised thresholds. As its edges are protected with anodised aluminium, it can be used indoors and outdoors in dry and wet weather – and its full width anti-slip surface will help you feel perfectly secure at all times. 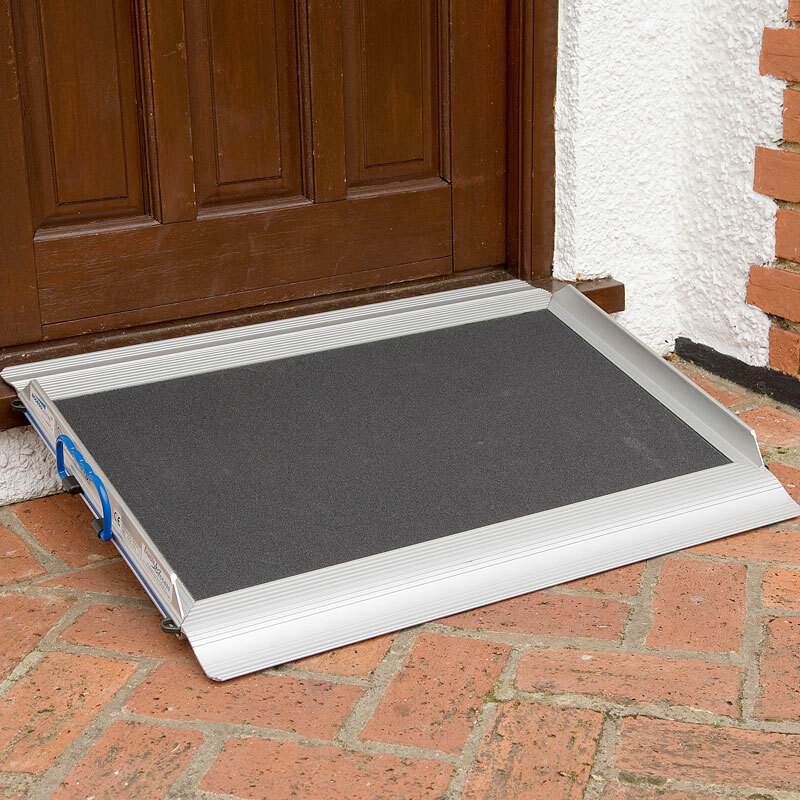 Very simple to set up and use, and available in four different sizes (2ft, 3ft, 4ft and 5ft), the Aerolight Classic wheelchair ramp provides incredible strength and support while remaining surprisingly lightweight. Very lightweight and good quality.